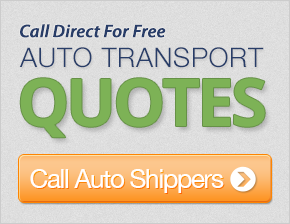 Get up to 7 free auto shipping quotes from the largest, most trusted Missouri auto transport companies and save up to 50% on your car shipping rates at CarMoves.com. Car shipping companies in Missouri compete for your business, which is how you can save hundreds, if not thousands of dollars on car transport services by shopping with us. Whether you're shipping a car to Missouri, across the country, or even overseas, we can help you get the best price on your shipment - guaranteed! Read more about the following auto transport companies in Missouri before getting a quote. Click on the name of the company to read a full review. Bluestar Auto Movers Bluestar Auto Movers ships approximately 10,000 cars a year, making it one of the most prolific auto shippers in the market. Bluestar transports cars both nationally and internationally, and has a multitude of experience shipping cars bought online from sites like eBay. The company will even ship vehicles for military members at a discount. Get a free auto transport quote today to find out how much it costs to ship a car to or from Missouri! Located in the middle of America, Missouri is a state that reflects a wide breadth of American culture. Iconic landmarks like the St. Louis Gateway Arch dot the state, and symbolize the historic move of Americans from the Eastern states to the West. However, cities like St. Louis have been severely affected in the past century by changing socioeconomic conditions in the state. St. Louis, once one of the country's largest and most prominent cities, is a shell of its former self, with a very hight rate of abandoned housing and commercial property. Thanks to the decline of manufacturing in the US and White Flight in the 1980s, St. Louis is no longer the state's largest city. Still, prominent cities like Kansas City attract many newcomers. Kansas City retains a large portion of its late 19th and early 20th century heritage. As a birthing ground for the Blues, the city has long held an importance for musical artists, some of whom can still be seen playing in Kansas City's historic downtown area. Perhaps even better known than the music it has fostered, Kansas City barbecue has become a national favorite. This type of barbecue is characterized by its use of tangy tomato sauce and the inherent sweetness of molasses. Ribs and, in particular, burnt ends are immensely popular when covered with their delicious barbecue sauce. Sauces like KC Masterpiece hail from the region, and the aforementioned sauce is now one of the most popular barbecue sauces on the market today. 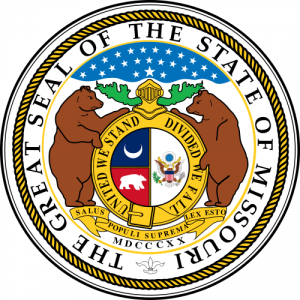 Similarly to other Midwestern states, Missourians generally are highly participatory in organized religions, specifically, Christianity. Though the state is predominantly populated by European Americans, with Germans being the largest population in terms of ancestral heritage, African Americans have considerable populations in both St. Louis and Kansas City. Economically, many areas in Missouri rely on the agriculture, science, and biotechnology industries. In fact, world plant biotechnology and pesticide leader Monsanto is based out of St. Louis. CarMoves.com works with car shipping companies throughout the state of Missouri. We can help you get the best prices on car transport services to the following cities in Missouri: Kansas City, St. Louis, Springfield, Independence, Columbia, Lee's Summit, O'Fallon, St. Joseph, St. Charles, and many more. If you don't see your city listed, don't worry - we can get your vehicle shipped anywhere in Missouri. Scroll to the quote section on this page to compare free auto shipping quotes from up to 7 Missouri auto transport companies and save up to 50% on your move! View the Missouri Department of Transportation website for more information.